The capital city of Kherson oblast. Kherson is a city located in the south of Ukraine, administrative, industrial and cultural center of the Kherson region. The city stands on the high right bank of the Dnieper River, near its confluence with the Dnieper estuary of the Black Sea. The population of Kherson is about 294,000 (2016), the area - 65 sq. km. The phone code - +380 552, the postal codes - 73000-73480. Local time in Kherson city is April 21, 5:17 pm (+2 UTC). 15 October, 2018 / Attractions of the Northern Prychornomoria. 6 September, 2018 / Attractions of Tavria. 20 October, 2016 / The tourism potential of the Kherson region. People lived in the territory of present Kherson from ancient times. On the site where the Kherson fortress was located (one of the central parks now), the Scythian burials of the 4th-3rd centuries BC were found. Since the 15th century, it was the border land between the Ukrainian Cossacks, Crimean Tatars and Ottoman Turks. In the first half of the 18th century, the Russian state intensified the struggle for access to the Black Sea. In 1737, in the midst of one of the many Russian-Turkish wars, at the mouth of the Dnieper, the first Russian fortification, Alexander-Shantz, was created to protect the southern borders of the Russian Empire. However, several decades passed before Russia could fully establish control over this territory. In 1774, Russia inflicted a military defeat on the Ottoman Empire and, by the terms of the Kuchuk-Kainarji peace treaty, gained access to the Black Sea. In 1778, the Russian Empress Catherine II signed a decree on the foundation of the fortress and the shipyard of Kherson named after the ancient Greek colony of Chersonesos in the Crimea. The founder of the town was G.A. Potemkin - a Russian statesman and favourite of Catherine II. 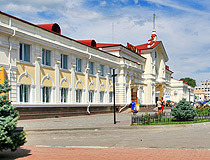 Kherson became the first base of the Black Sea Fleet of Russia, an economic and political center of the captured region. In September 1783, the first large 66-gun ship “The Glory of Catherine” left the building berth of the Kherson Admiralty shipyard. After the end of the Russian-Turkish war of 1787-1791, under the Yass peace treaty, Russia received the Black Sea coast from the Southern Bug to the Dniester. Kherson lost the importance of an important border fortress after the foundation of Nikolaev (1789), where the Admiralty was transferred, almost the entire population of Kherson moved to a new town. Kherson turned into an ordinary provincial town. At the end of the 18th century, Kherson played an important role in the development of the empire’s domestic and foreign economic relations. Through Kherson sea port, trade was carried out with France, Italy, Spain, and other European countries. The fates of many historical figures of Ukraine, Poland and Russia of the 18th century were closely connected with Kherson. In 1803, Kherson became the center of the province, which covered almost the entire south of the region. The shipbuilding industry was developing in the town, enterprises for processing agricultural products were opened. 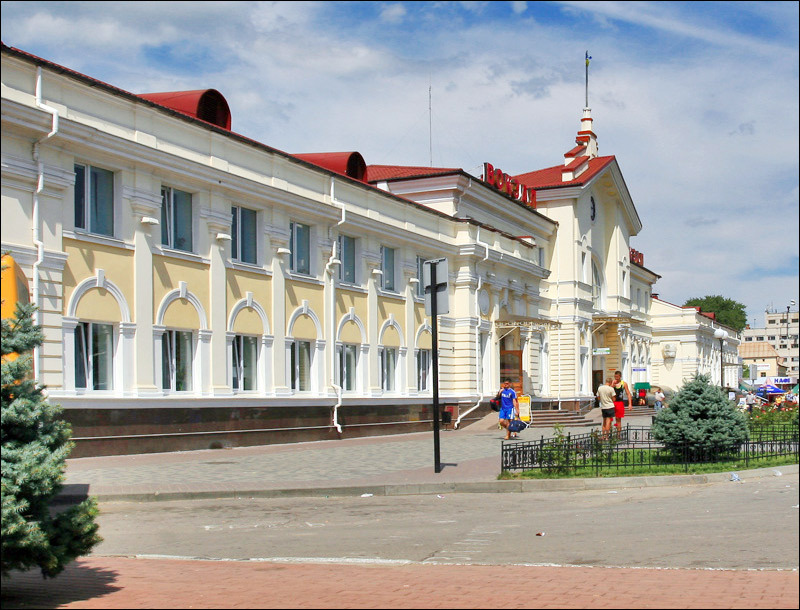 In the second half of the 19th century, a theater, a library, archaeological and nature museums were opened in Kherson. The railway between Nikolaev and Kherson was constructed. After 1861, there was a significant economic growth. At the beginning of the 20th century, hundreds of thousands of tons of grain were exported from here to Europe. In 1897, there were about 59,000 people in the town. In 1907, a railway line connected Kherson with other large cities of the Russian Empire. In 1908, the first power plant began operating. In 1917-1920, power in Kherson changed several times. In 1925, there were 46,230 people living in the town. During the first decades of Soviet power, Kherson turned into a major center of shipbuilding, agricultural machinery and canning industry, an oil refinery was opened. During the Second World War, in August 1941, the oil refinery, the agricultural machinery plant and shipyards were evacuated from Kherson. During 20 days of evacuation, about 130,000 people were transported to the left bank of the Dnieper. August 19, 1941, Kherson was captured by the German troops. The occupation lasted until March 1944. 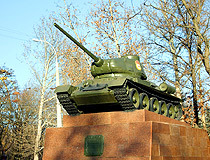 In the postwar years, Kherson turned into a major industrial, agricultural and cultural center in the south of Ukraine. In 1957, the Kherson-Nikolaev railway was rebuilt. In March 1977, the construction of an automobile bridge across the Dnieper began. 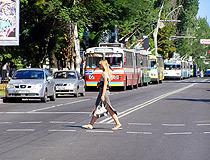 After 1991, Kherson relatively successfully overcome through the economic crisis. Several new enterprises were opened, in particular, the automobile plant SKIF, the enterprise Anto-Rus (buses production). Structural reorganization of large Kherson enterprises was carried out. The shipbuilding plant received a lot of orders from abroad, investors from Russia and Kazakhstan invested in the refinery. 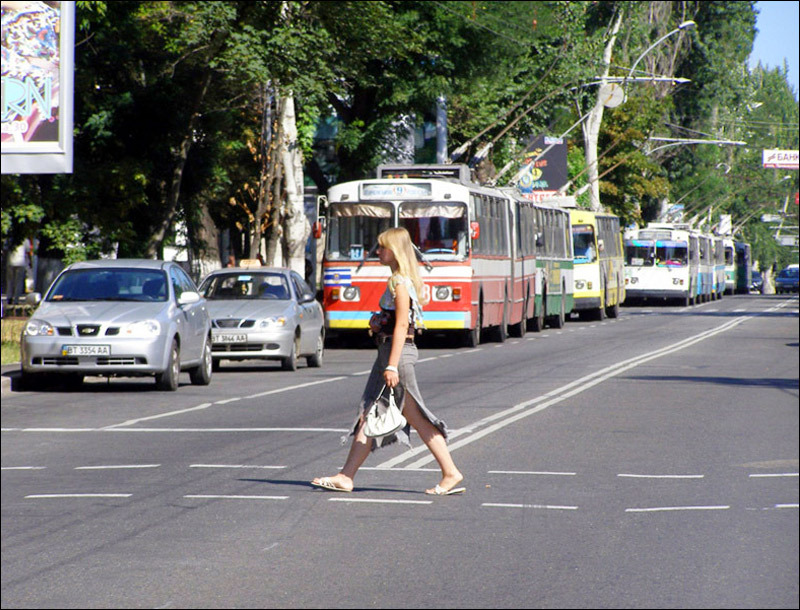 At the same time, a rapid decrease in the population of Kherson began (from 355,000 in 1989 to 297,000 in 2014), which stabilized only by the middle of the 2010s. Kherson is an important industrial center in the south of Ukraine: metalworking and machine building (in particular, shipbuilding and agricultural machinery), food and textile industries. Kherson Shipyard is one of the largest shipbuilding enterprises in Ukraine and in Europe. Kherson port is the largest on the Dnieper River. The climate of Kherson is dry steppe. Winters are mild, summers are hot, often dry. The average temperature in January is minus 1.7 degrees Celsius, in July - plus 22.9 degrees Celsius. Minibuses and trolleybuses are the main urban transport. Kherson International Airport provides regular flights to Kyiv and Istanbul (Turkey). The distance from Kyiv to Kherson by roads is about 550 km. Kherson State University is one of the largest universities in southern Ukraine. In total, there are more than 10 institutions of higher education in the city. 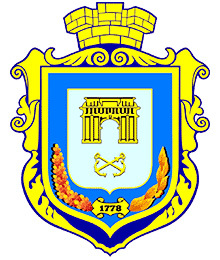 On the coat of arms of Kherson you can see the gates of the Kherson fortress and two crossed anchors (military and commercial). St. Catherine’s Cathedral (1782-1787) - an outstanding architectural monument of the 18th constructed in the style of early classicism with the motives of the Balkan medieval architecture. The cathedral was named after St. Catherine and Empress Catherine II, who visited it in 1786. The chair made specifically for her has been preserved. In 1791, G.A. Potemkin, the founder of Kherson, was buried in the crypt under the cathedral. On the territory of the cathedral there is the “Pantheon of the Kherson Fortress” - burial of officers killed in the Russian-Turkish war. Perekopska Street, 13. Greek Sophia Church (1780). 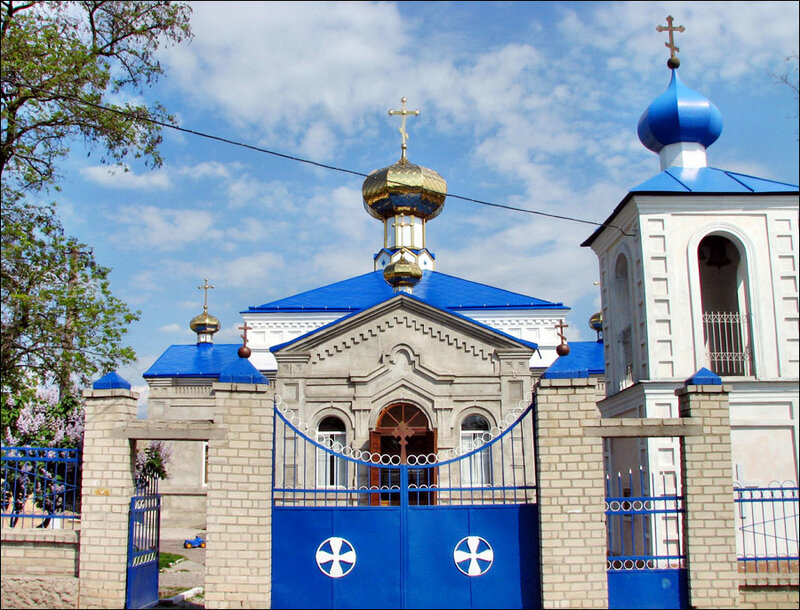 The Greek Sophia Church of the Nativity of the Blessed Virgin Mary is the oldest surviving church in Kherson. 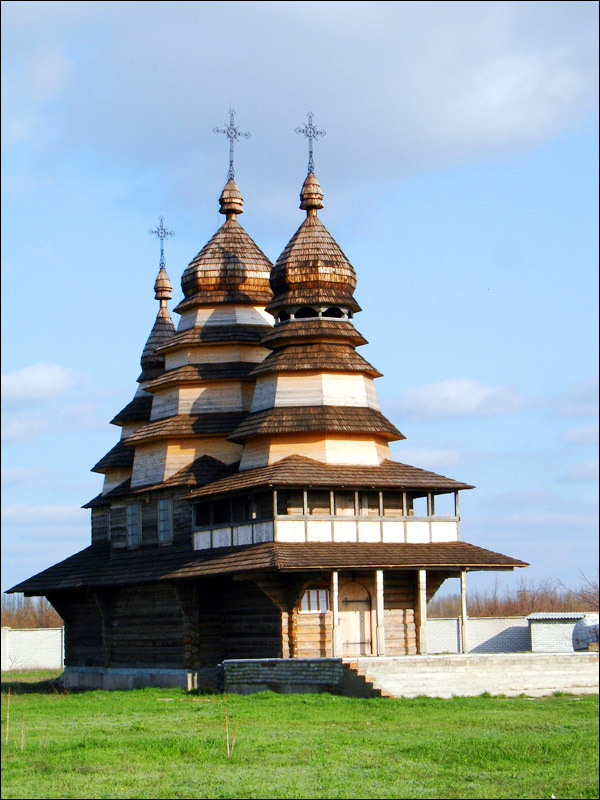 This stone church was built by the Greeks, who settled in Kherson in the 18th century. 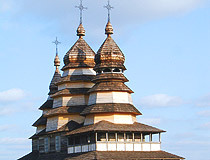 Inside you can see preserved wall paintings, a beautiful carved iconostasis, and wooden sculptures. Bohorodyts?ka Street, 11. 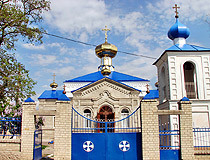 Holy Assumption Cathedral (1798) - one of the oldest buildings in Kherson. The church was established by the merchants Sizarev and Fendrikov. According to legend, immediately after the construction began, the plague that raged in the town stopped. The cathedral was built in the style of early classicism, in the form of an oblong cross. It is distinguished by its magnificent decoration. Inside you can see an elegant iconostasis and the icon of the Assumption of the Blessed Virgin. Soborna Street, 5. All-Saints Church (1804-1808). The compositional center of the Kherson necropolis built in the style of classicism, it is the only Orthodox church in Kherson that has never been closed for worship. In the interior of the church there is a magnificent wooden carved iconostasis. Some of its images were made by Yaroslavl icon painters in the beginning of the 18th century. In addition, the church has several interesting icons of the 17th-18th centuries. Puhachova Lane, 11A. Holy Spirit Cathedral (1804-1836) - a beautiful cathedral in the style of classicism. Preobrazhenska Street, 36. Catholic Church of the Sacred Heart of Jesus (1820s). The church was founded on the initiative of G.A. Potemkin to attract foreigners to Kherson. In 1931, the church was closed and housed workshops and, later, a children’s movie theater. In 1994, it was returned to the believers and reconstructed. Suvorova Street, 40. It is a complex of buildings and remains of defensive structures of the Kherson fortress located on the territory and near the park with the same name - Kherson Fortress Park. The fortress in the mouth of the Dnieper was founded by G.A. Potemkin in 1778, next to the earlier fortification of Alexander-Shantz (1737). You can see two preserved arch gates: Ochakiv (western) and Moscow (northern) gates built in the late 18th century. Also there is a powder cellar converted into a restaurant. On the opposite side of the street, you can find the Arsenal with a monumental colonnade (1784) - one of the earliest buildings of the Kherson Fortress. Perekopska Street, 13. Kherson Regional Museum. The museum was formed on the basis of the collection of antiquities of the archaeologist V. Goshkevich and the entomological office of the botanist I. Pachosky. 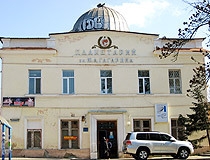 In 1963, the expositions were united into a single museum, Since 1978, it is located in the former building of the Kherson District Court (1893). The exposition includes the natural history and historical departments, as well as the hall of A. Suvorov. In total, there are about 144,000 exhibits. The staff of the museum conducts excursions around Kherson. Soborna Street, 9. Opening hours: 10:00-17:00. Days off: Monday, Tuesday. 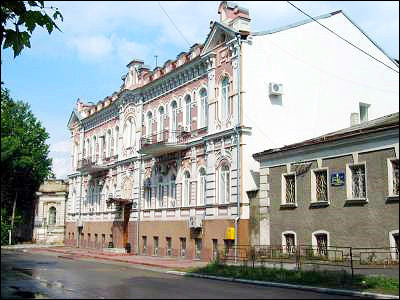 Kherson Regional Art Museum named after Oleksii Shovkunenko. The museum was opened in the former building of the City Duma in 1977. The collection consists of works of art of the 17th-21st centuries. The basis of the collection is more than 150 works made by the Ukrainian painter Oleksii Oleksiyovych Shovkunenko. You can also see paintings of V. Polenov, A. Savrasov, I. Kramskoy, V. Makovsky, M. Vrubel, N. Pimonenko, V. Orlovsky, works of Soviet artists, icons of the 17th-20th centuries. Soborna Street, 34. Opening hours: 09:00-17:00. Days off: Monday, Tuesday. Frigate - the Monument to the First Shipmen. 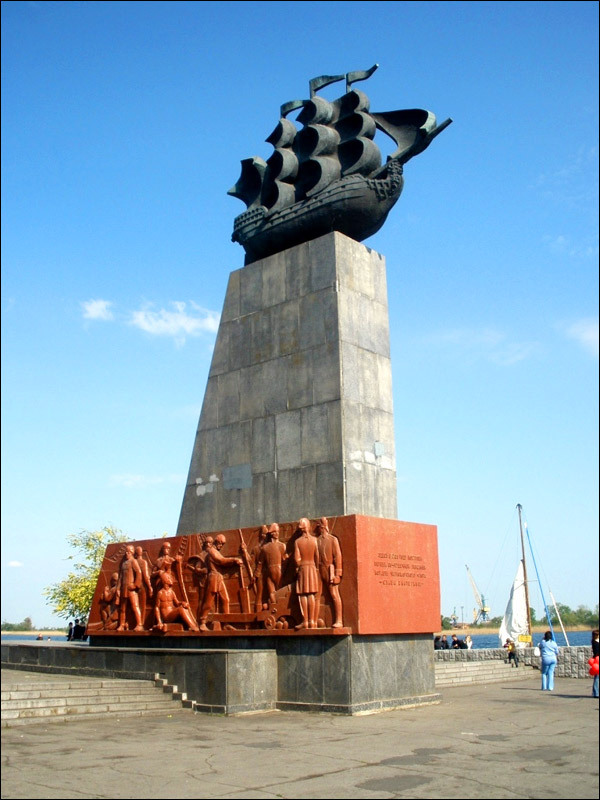 The memorial sign “Frigate” standing on the embankment of Kherson is the most recognizable symbol of the city. 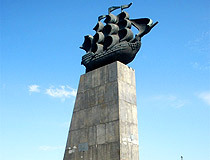 The monument in the form of a sailing ship on a high pedestal was installed in honor of the first ships of the Black Sea Fleet: the 66-gun battleship “Glory of Catherine” and the 50-gun frigate “George the Victorious” in 1972. Age-Old Oak Tree.This tree standing in the very center of the Shevchenko Park is one of the symbols of Kherson. It is the oldest park in Kherson laid in 1785. In the 19th century, the trees were cut down and the place was turned into a parade ground, horse races were held here. In 1869, the park was revived and an oak tree became its compositional center. Goldenberg’s House (1910). 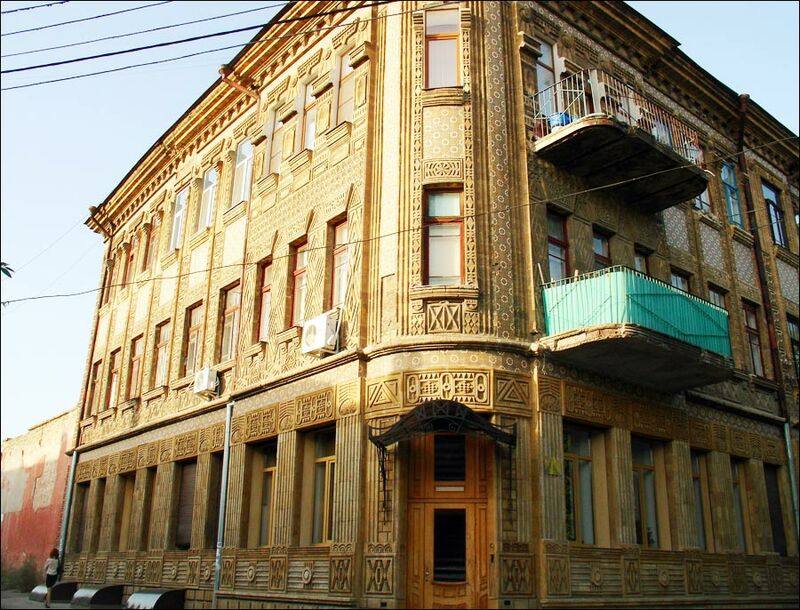 The house of the entrepreneur I. Goldenberg is one of the most interesting building in the ensemble of Pokrovska Square in Kherson. This eclectic architectural monument lined with brick is richly decorated in Romanesque and Moorish styles. 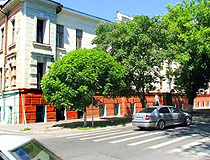 Staroobriadnytska Street, 21. Public Library (Registry Office) (1897). The current building of the Central Registry Office in the style of neoclassicism was originally erected for the Kherson Public Library in the late 19th century. 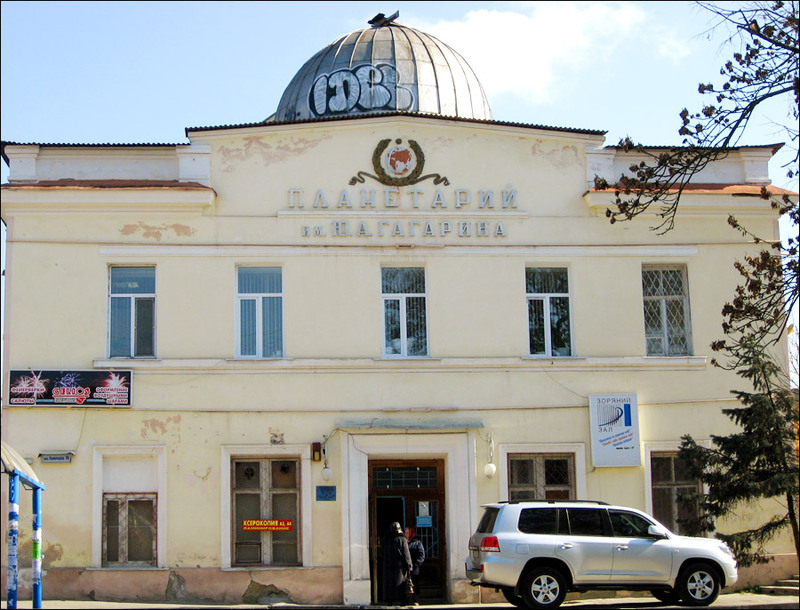 The building housed the library until 1987, when it was decided to use it as the Central Registry Office of Kherson. Torhova Street, 24. Music and Drama Theater named after Mykola Kulish (1883). The theater was founded on the initiative of the nobility of the Kherson province in 1830. The current building of the theater was erected in the late 19th century. In 1944, this monument of architecture was badly damaged. Teatralna Street, 7. According to visitors’ reviews, the following English friendly hotels in Kherson offer the best service. 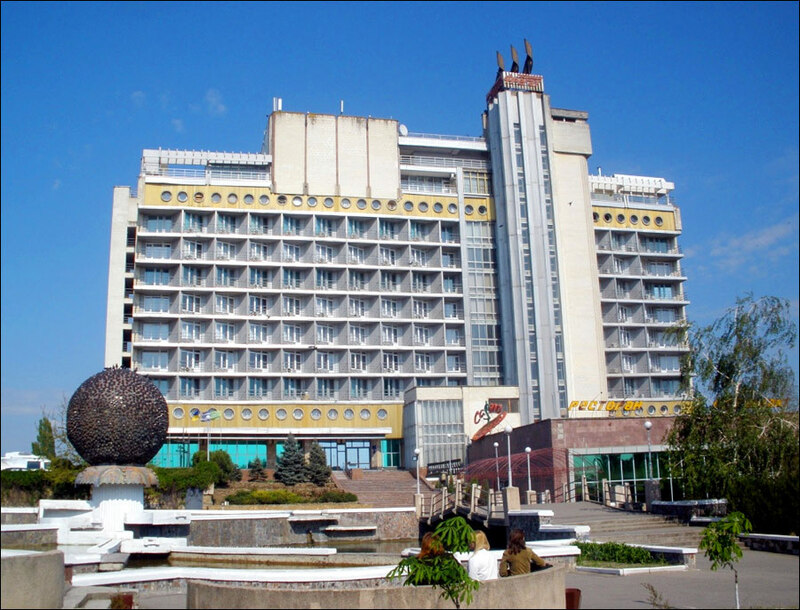 Hotel “Optima Kherson”. 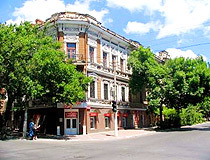 This hotel of the hotel chain Reikartz Hotel Group is located in the center of Kherson. Air conditioning, free Wi-Fi and parking, bar, small restaurant, shuttle service, pets are allowed on request. Ushakova Street 43. Phone: +380 552 493 333. Hotel “Bordo Business House” - a small and cozy hotel located in the very center of Kherson. 18 rooms of different categories, free Wi-Fi and parking, bar, restaurant, ATM, currency exchange, safe, family rooms, hair/beauty salon, pets are not allowed. Perekopska Street, 20. Phone: +380 99 900 4713. Hotel “Muscat”. 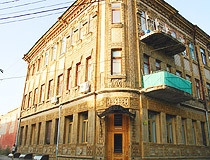 The hotel is located in the heart of Kherson in an original Art Nouveau building. 14 rooms with unique design, from European to Japanese, air conditioning, free Wi-Fi and parking, airport shuttle, bar, safe, no lift, pets are not allowed. Yaroslava Mudroho Street, 10. Phone: +380 552 42 47 31. 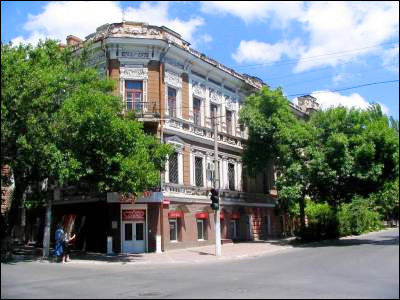 Hotel “Diligence” - a business hotel located in the center of Kherson, in an old building with modern interiors. 18 rooms of three categories with different color schemes with air conditioning, free Wi-Fi and parking, small safe, bar, shuttle service, terrace, pets are not allowed. On the ground floor there is a restaurant serving European cuisine. Hoholya Street, 39. Phone: +380 552 499 236. 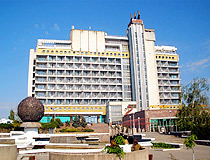 Hotel “Dnipro”. This small hotel is located at a certain distance from the city center, near the beach. 11 rooms with air conditioning, free Wi-Fi and parking, bar, playground, shuttle service, safe, pets are not allowed. Tekstyl’nykiv Avenue, 3. Phone: +380 552 311 508. Art asks: Closest international airport to Kherson? The closest international airport is located in Odessa. It takes about 6-6.5 hours to go from Odessa to Kherson by train. Richard asks: Is it safe to visit a lady in Kherson? I'm from the UK. 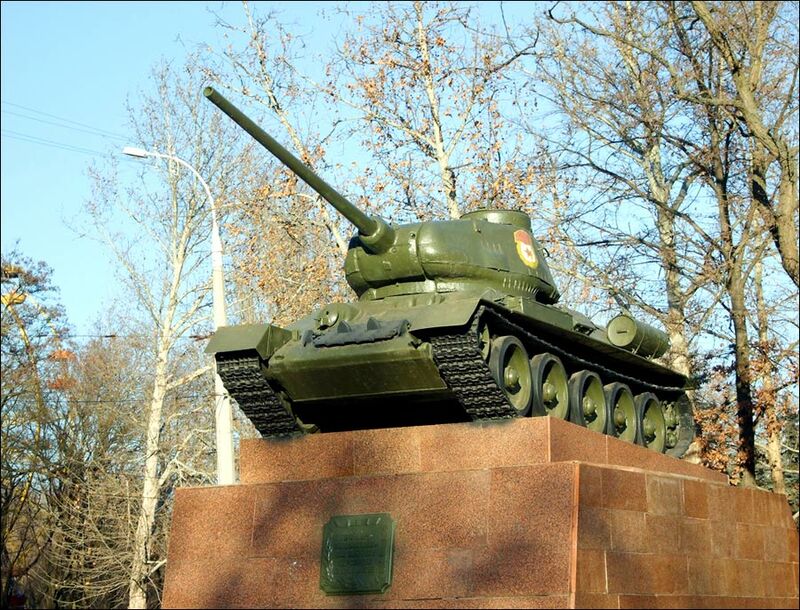 Kherson is not located near the conflict zone, so from this point of view it is relatively safe to visit this city. Street crime is average, nothing special. Here is the list of incidents in Kherson to understand the situation better. You can use the following service to autimatically translate sites from Ukrainian/Russian. Kehinde asks: How do you greet people in Kherson, Ukraine? Do you have different greetings for morning, afternoon and evening? Just came upon this site and wanted to say that I was there in September and the picture of the Frigat Hotel brought back memories. I would like to go back again and hopefully spend more time getting to know the city.